flamenco music, horses, Rolls-Royces, and tiger hunting. On January 28, 1908, a young Spanish woman sitting astride a luxuriously bejeweled elephant enters a small city in northern India. The streets are packed with curious locals who are anxious to pay homage to their new princess, with skin as white as the snows of the Himalayas. This is the beginning of the story, based on real events, of the wedding of Anita Delgado and the maharaja of Kapurthala, a grand story of love and betrayal that took place over almost two decades, in the heart of an India that was on the verge of disappearing. Who doesn’t love a real life fairy tale come true? 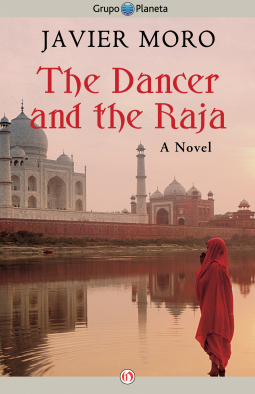 This novel is about the life of Anita Delgado, a very beautiful dancer from Spain. Her father struggled to provide for his family, so Anita and her sister danced to help her family. It was while she was dancing that a Maharaja by the name of Jagatjit Singh Bhadur of Kapurthala was in the audience and became mesmerized by her performance. He sent her notes and gifts pleading for her to meet with him, but the virtuous Anita refused them all. Even after he returned to his homeland, the letters continued, and soon, Anita was persuaded to answer them. He proposed to her, offering her family enough money to take care of them for life. At first, Anita hesitated because the Maharaja had other wives, but he assured her with promises they could be married in Europe and that she would have a home of her own in his homeland. These promises he made, create controversy for him. His government and family advise against the marriage, but he follows his heart. After they marry, Anita becomes pregnant and is brought to Kapurthala where she must face not only the animosity from his wives, but the government refuses to recognize her and she struggles to assimilate into a culture very foreign from her own. What follows is a tale of great love, of immense wealth, but profound loneliness. With her gentle personality, kindness, and patience, she wins the heart of the people of Kapurthala who are fascinated with her, as well as the media of the time. A sumptuously exotic novel ripe with the visions and aromas of India!